Ever have trouble deciding what to ask parents for input on their child's IEP? 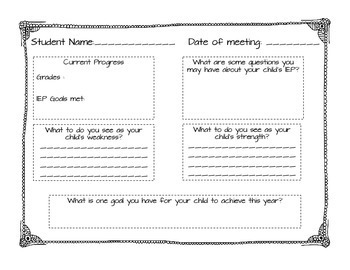 Now in this quick and easy form, questions are created to help parents give you a full understanding of their concerns for their child for the upcoming IEP year. 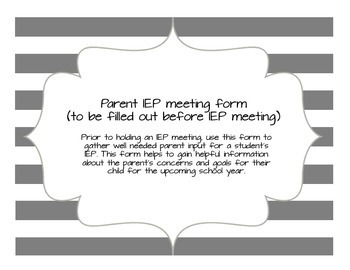 Also, there is a section for you to provide parents with the student's current progress prior to the IEP meeting. Like what you see on the form but need another question added or modified? Let me know and I can make you a CUSTOMIZED IEP form!